Electronic waste recycling technology _ PCB recycling machine,cable wire recycling machine,E-waste recycling plant,precious metal refining machine system,E-waste shredder,plastic and metal recycling production line,copper electrolysis system-Zhengzhou Zhengyang Machinery Equipment Co.,Ltd. Electronic waste has been are a great threat to the national environment. Most European countries have established the corresponding recycling system. In Germany, the electronic waste recycling enterprise general scale is not large, most of the municipal system professional manufacturer of recycling companies, professional recycling companies, professional recycling companies, professional society of hazardous waste recycling companies, etc. In the United States, the electronic waste recycling industry has been formed, a total of more than 400 companies, mainly divided into the professional company, non-ferrous metal smelting, municipal solid waste treatment enterprises, electronic products from business (OEM) and dealers. 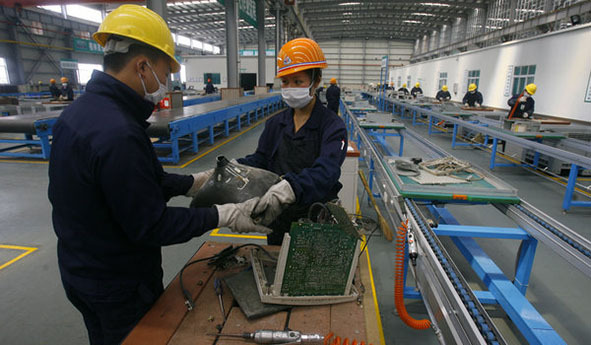 The classification of the electronic waste recycling and disassembly, often referred to as electronic waste to remove after recycling company, again by remove company remove into many pieces. Sterman technology center in Sweden, electronic waste is first roughly divided into five most: big metal parts, PCBS, packaging materials, plastic parts, and a cathode ray tube, and then further divided into 70 different pieces. Electronic waste recycling process of the metal complex, usually through high temperature metal and impurity separation first, then several corresponding to refine various metal machining process. In the electronic waste copper, gold, silver, platinum, palladium and other precious metals usually by converter processing recovery. Swedish Boliden company and Canada Noranda containing precious metals electronic waste recycling process is: melting, refining, electrolysis. Ewaste recycling is great service for destroy old crap electronics products to recreate new electronics products. It’s good for environment and stop wasting products.